El Fasher (Sudan) (AFP) - Sudanese President Omar al-Bashir declared on Wednesday that peace was returning to war-torn Darfur despite a deadlock in African Union-brokered ceasefire talks and persistent fighting that has driven thousands from their homes this year. Bashir, who is wanted by the International Criminal Court for war crimes in Darfur, made the declaration in the North Darfur state capital El Fasher at a ceremony attended by Qatari emir Sheikh Tamim bin Hamad al-Thani and Chadian President Idriss Deby. Qatar has hosted successive rounds of peace talks between the Arab-dominated Khartoum government and the ethnic minority rebels who took up arms in 2003 against Bashir's administration. Talks in Doha in 2011 led to a peace deal with one small rebel faction -- the Liberation and Justice Movement -- and Wednesday's ceremony marked its implementation. 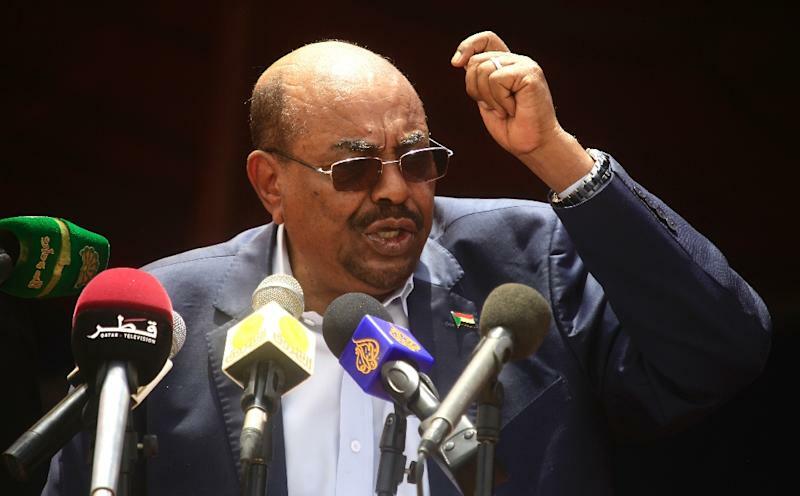 "We declare to all the people of Darfur and Sudan .. that we have implemented our commitments," Bashir said in a speech attended by crowds of thousands. "Darfur is better today than yesterday. And tomorrow it will be even better." Bashir, who vowed to develop the strife-torn region, stopped short of outright declaring an end to a 13-year conflict in Darfur as he was expected to announce earlier. "We will build roads and better education, health, water and electricity facilities... We will also undertake reconciliation among all Darfur tribes," Bashir said to supporters' cheers. Many in the crowd carried pictures of Bashir and the Qatari emir. Khartoum has repeatedly sought to declare an end to the conflict in Darfur this year, claiming that an April referendum backing the current five-state division of the region turned the page. But the vote, which was boycotted by the rebels, was widely criticised by the international community and in June the UN Security Council voted to extend the mandate of an 18,000-strong peacekeeping force which the world body runs jointly with the African Union. Khartoum had strongly opposed the extension but the Security Council said that persistent fighting between government forces and the rebels continues to drive thousands of civilians from their homes. 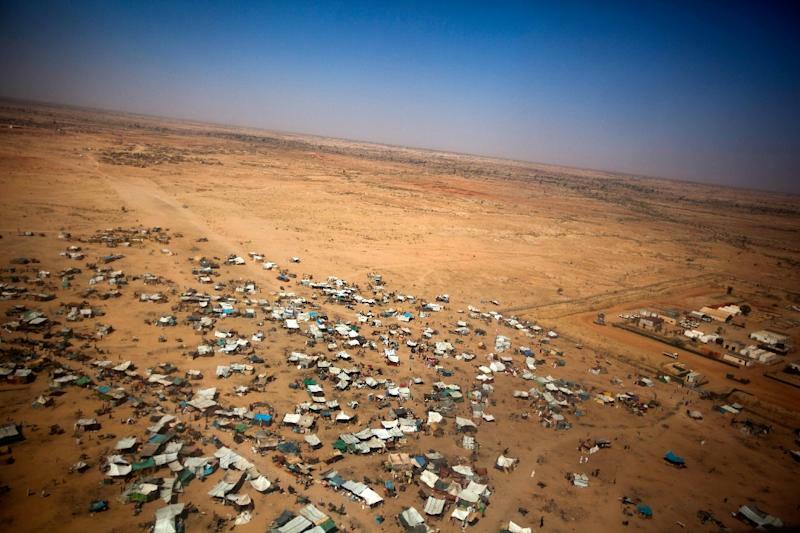 Up to 194,000 civilians have been displaced from the Jebel Marra area since mid-January, the UN said last week, adding to hundreds of thousands of displaced people already living in camps. Two rebel groups -- the Justice and Equality Movement (JEM) and the Sudan Liberation Army faction headed by Minni Minnawi -- have signed an African Union roadmap for a ceasefire but talks on its implementation broke down last month. A third rebel group, the SLA faction headed by Abdelwahid Nur, has not signed the roadmap. The JEM announced on Wednesday that it would release all prisoners it had captured during fighting with government forces. "The movement will coordinate their transfer to Khartoum," it said, without explaining the timing of its announcement. Bashir too announced a similar initiative at the ceremony. "I order the authorities to immediately release all those children who have been detained among the rebel groups," he said. Bashir also urged Darfur civilians and armed groups to surrender their arms. "We will collect arms from the civilians," Bashir said, warning that those who refused to surrender their weapons would be firmly dealt with. Neighbouring Chad has been a major player in the Darfur conflict. It was a key supporter of the JEM while Khartoum supported Chadian rebels but, after both countries' capitals came under attack in 2008, the two governments mended fences. Bashir, who has mounted a brutal counter-insurgency against the rebels, is wanted by the ICC on war crimes and genocide charges related to Darfur, which he denies. At least 300,000 people have been killed in the conflict, according to the United Nations.